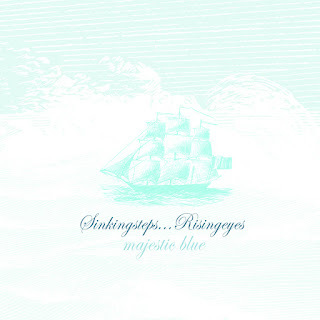 "People sometimes commented on how much different Majestic Blue was from our first ep. That is true, but the band dynamic changed a lot after our first tour. I’ll give you a little background. During the first year of SSRE we wrote, recorded and toured on our first ep. We started with one bass player, Brogan Costa, during that first year he decided to go back to Dubai in the U.A.E. to attend a University, his family was living there and he planned to return after the semester. In his absence we added our friend Seth Dekkenga on bass so we could start playing shows. When Brogan returned, we wrote in second bass. Josh Boyd, our drummer also got married early that year. Heading into the fall after our first tour, Seth got married and decided to leave the band. And after writing a few more songs, Josh left too as he had a child on the way and knew he would not have time to dedicate to the band. Also I headed back to school, about a one hour drive from Sioux Falls where we lived. I had left school the previous year to start this band. So Brogan, Mary, Brandon and myself kept writing and trying out new drummers. I would come down every weekend to practice. Brandon Aegerter soon joined on drums and we wrote all winter. Previously, the songs were written mostly from guitar and drum parts, one song was entirely Seth’s bassline and I wrote guitar parts over it (Deepest Hymn). With the Majestic Blue songs Brogan and I did a lot of writing together and we finally had a huge practice space in an old school house building used to store medical waste. The owner rented out rooms to bands and we could go there at all hours. As the songs progressed, we spend a lot of time tailoring the beginnings and ends of songs to fit into other songs such that we could play a live set as one song if we wanted. We now had a dedicated amp and PA speakers for the piano/keys, which allowed us to make that a more dominant element in the songs. Brandon A. was also into trying out odd timing and transitions so we experimented with those types of things to make our songs more interesting. Thinking back on it, our first 5 or 6 songs were just us jamming out a bunch of songs so we could tour, not that they weren’t important to us but they were more superficial from a creative standpoint, it more emotion and energy. I think when we were writing the songs for Majestic Blue, we were all different people and were tapping into a more creative place. We were all going through a lot of transition, there is a lot of darkness and depression in that record." 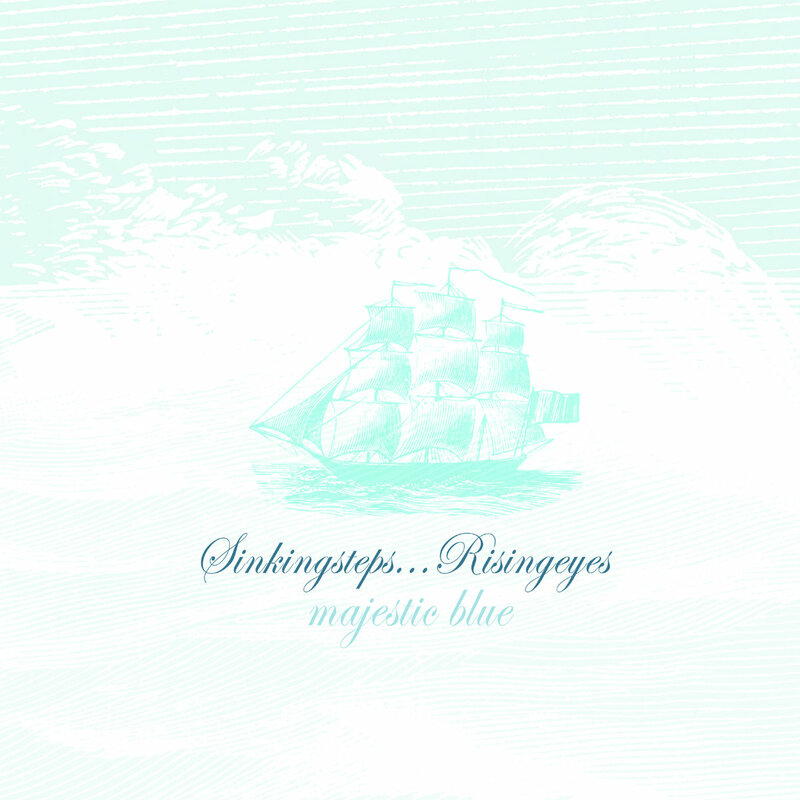 "The lyrics for Majestic Blue were heavily religious, but a bit less obvious than our E.P. I always tried to keep the lyrics sincere and honest. My writing largely reflected my longing to feel something spiritual… something real. I wanted an emotional tie to God and screaming was the closest I could get to feeling anything." "We recorded it in Minneapolis, MN at Analog Electric with Adam Lazlo. It was a home studio. We really wanted to record in an all analog studio and we asked around and heard about Adam Lazlo, we recorded and mixed it on 2 inch tape. No overdubs, almost all single takes. If there was a gap in guitar part or something you could punch in, but it was hard and usually easier to do the song over. But we made a point to try and take the first take unless it something major. You can hear a lot of small imperfections but we wanted it that way, we didn’t want it perfect, it’s never perfect. Erin Toft, now Erin Castle who sang on the record, started singing with us at practice sometimes. Initially for just one song, but started doing more parts trading off with Brandon DeJong on the lyrics he wrote. Originally there were more screaming parts, when we were recording we realized some of it didn’t really fit so we stopped recording and all went out to eat and discussed what to do. We removed some of the vocal parts so there was more space where we felt it needed it. All the lyrics are printed in the album, the lyrics in blue font are the ones that are either sung by Erin, or screamed by Brandon. We did it in a weekend session and used a lot of really cool vintage RCA ribbon mics for vocals and room sounds." "I remember having difficulty with my voice during the recording, but was finally able to “break it in” after a few songs. The tracks were recorded sequentially, and when listening, I can hear my voice got stronger with each song." "Roman Ships – 2008 – Current. Josh Boyd ( original SSRE drummer ) on drums, myself on guitar and vocals and Brandon Aegerter ( SSRE drummer on Majestic Blue ) on bass / baritone. I was completing college and moving back to Sioux Falls and Josh and Brandon A. had started playing together so Josh called me and told me I was in a new band. After recording a 5 song demo, Brandon A. left and our friend Pat Nelson joined on bass. Roman Ship put out two tour demos and in 2013 we put out a full length CD / LP on Init Records." "I listen to it every once in a while. I think it came out in 2004, but we had recorded it about a year previous. It is something I am still proud of, I have been writing music ever since but nothing that is so layered and nuanced. Part of what made it different from anything I have been a part of is that we were in a place in life when we were all in on that project. I was in school but I was failing out and just writing music and practicing all weekend. We spent so much time writing together that we were able to really listen to each other and create something that challenged us all. I would say that I grew the most as a musician during that time. None of us knew how to write verse / chorus type songs, so we just wrote in a sort of stream of consciousness style. It took a very long time to write but we would just play parts over and over until we figured out where it went next. When we released it, it seemed like most of the people that liked what we done so far were not really into it. I think after we broke up I started to hear more positive reviews of it. " "Majestic Blue is much more mature than our E.P., and I still find it interesting to observe the stark contrast between the two albums. In a way, I think the music outgrew me, so I feel fortunate to have been a part in its making. Although I’m a bit critical of my role in the album, I’m proud of the overall results. I still listen to the album somewhat regularly and at high volumes. I specifically enjoy some of the discreet layers of sound that may go unnoticed during initial listen. Even after all these years, I still have a hard time describing our music to people, but I hope that says more about the music than my ability to articulate. The band created real, lasting relationships and this album represents a period of my life that I will always look back on with fondness." "The first and last track have exactly the same bass line. That is why they are called part 1 and part 2. The songs don’t sound similar because of the other instruments, but you can tell if you listen close. The Shedding Skin is pretty much one note the entire song. We wanted to write a song with one note. The whole album in written in “drop D” tuning anyway, so of course the note is D. The song just kind of trades crescendo’s between instruments but is riding a D note almost the whole time." "Every line in “Procession of the Dancing Dusk (part 2)" rhymes"
· Sunn 4x12 straight with stock speakers - Vintage Early 70’s. I had wanted a black Gibson SG for a long time. I was working at a used music store and we also sold guitars so I was able to get a new guitar at cost of the store. I think I paid about $300 for the Epiphone G400 ( an SG ). I couldn’t afford a Gibson. I replaced the bridge pickup with a reissue Seth Lover Humbucker and it sounded nice. I had been experimenting with different amplifiers, I had originally been playing a Marshall JCM900 but it sucked. I was always having problems with it. Generally, Marshalls are good, that one sucked. I wanted clean overdrive and I had read good things about this Soldano pre-amp. I tried a few different solid state power amps but they sounded terrible. So what I wanted was a VHT 90 watt stereo power amp but of course that was very expensive. There weren’t that many stereo power amps to choose from, this Carvin one was like $300 or $400 I think. I had some things I wanted to try using stereo cabs so I wanted a pre amp with stereo out and a power amp with stereo in. Actually, on the song Procession part 2 on the recording the guitar fades in at full overdrive. I was able to do that live because I could run my volume pedal full volume but run a separate volume pedal out of the preamp and slowly increase the signal into the power amp. It was pretty cool. I could also turn one cab on or off that way too. The Marshall cab was what everyone used and that was the first 4x12 cab I ever bought. It sounded pretty good, I didn’t have much to judge it against. When I got a second cab, I wanted something old with some character so I found the Sunn 4x12 on Ebay. It was 1970 I think, it had much lighter magnets and was not scooped in the mids like the Marshall cab was. It was a nice blend of sounds. Funny story, I toured with that Sunn cab for 2 summers and had never opened it. I decided to put casters on it so I opened it up, there was a thin foam lining inside for dampening and I had to move it aside to get to a bolt hole I had made. I big gallon size Ziploc bag fell out with white powder residue in it. I immediately thought it was drugs, but figured that was too crazy. A little white powder collected in the bottom and I tasted it….. it was meth. Haha… how crazy. Someone must have been hiding drugs in it and forgot.